Much of what we call progress is backwards. And much of what we call backwards is progress. I finished my Sorbetto wearable muslin! The whole experience was mostly painless and very informative. I knew the fit would be boxy, because a) the top is meant to go on overhead without buttons or a zipper and b) I used stiff material (an old bedsheet). I did complete the entire top as per pattern in order to learn the techniques. I'm most proud that I made my own bias tape and that I lined up my bias tape seams with the shirt seams. I thought that level of precision would be something I could achieve after more practice. That said, we'll see how it goes when I use harder to control material. Wow, look at that seam lining up! I just noticed how messy the shoulder stitching is though. Need to work on my tension. I had the most trouble with the hem, as the shirt is kind of curved and widens at the bottom. I didn't do anything to fix the bunching that resulted in a larger bottom folded under but you can only tell on the inside. I think the hem is still pretty straight. I also noticed one of my bust darts is a bit lower than the other - need to watch for that in the future. 1. Use fabric with better drape. 2. 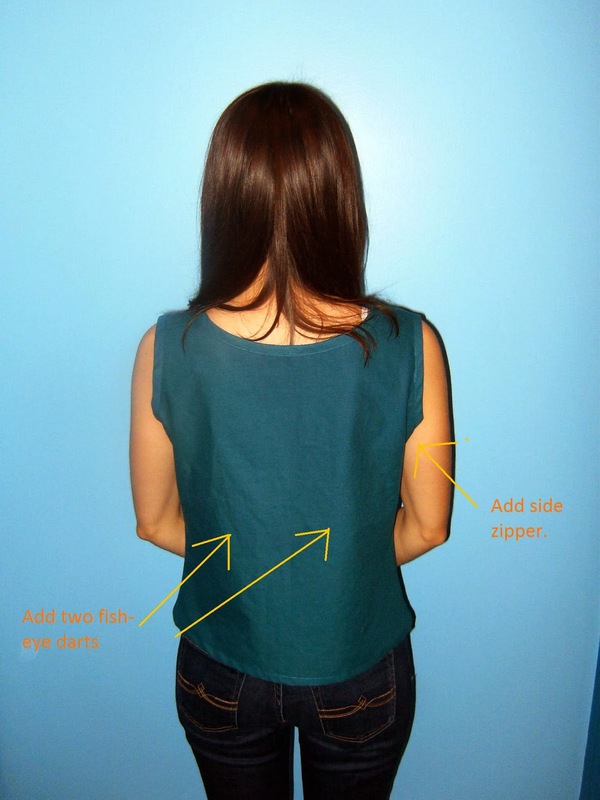 Take out a swathe from the middle of the front and back pieces. This will hopefully fix two fit issues: gaping at the neckline and shoulders too far apart. 5. Add a short zipper to one of the side seams to allow the more fitted version to be put on! 6. Make sure my darts are even. 7. 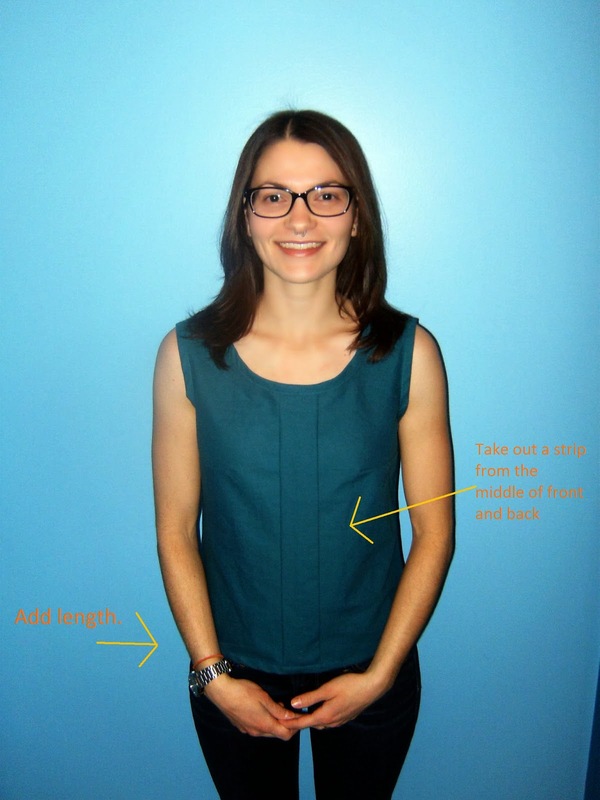 Figure out how to hem better! What do you think? For you experienced seamstresses, are there any problems with my proposed changes? Anything to watch out for? Oh, and do you like my new glasses? 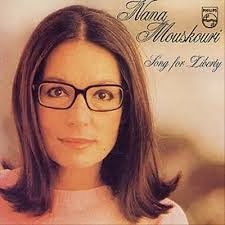 JF says I look like Nana Mouskouri. Oooo, Rachelle. This is so nice. Well done. I'm a young ecotoxicologist and organic vegetable farmer who also loves DIY and hula hooping. Copyright Rachelle 2012. Awesome Inc. theme. Theme images by TommyIX. Powered by Blogger.